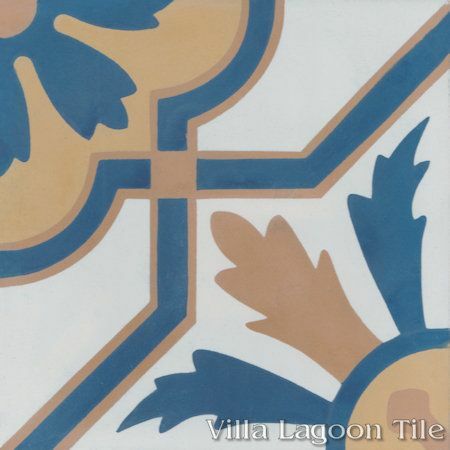 This is a 4-color 8" cement tile, using White, Deep Inlet, Maple Sugar, and Ochre from the South Beach Palette. 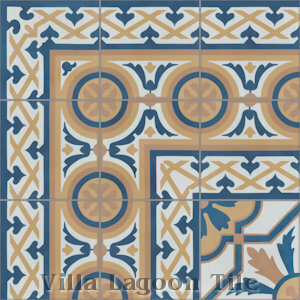 Our "Conga" cement tile pattern is a Cuban tile that blends a lot of traditional elements. The star and cross, popular in arabesque patterns is blended with a barbed quatrefoil, and accented by flowers. 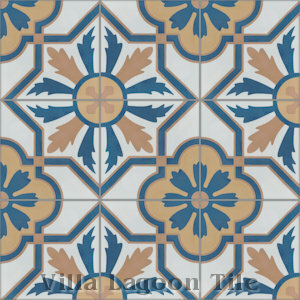 Dark blue and terracotta tones have long evoked an outdoorsy and Old World feel in tile. 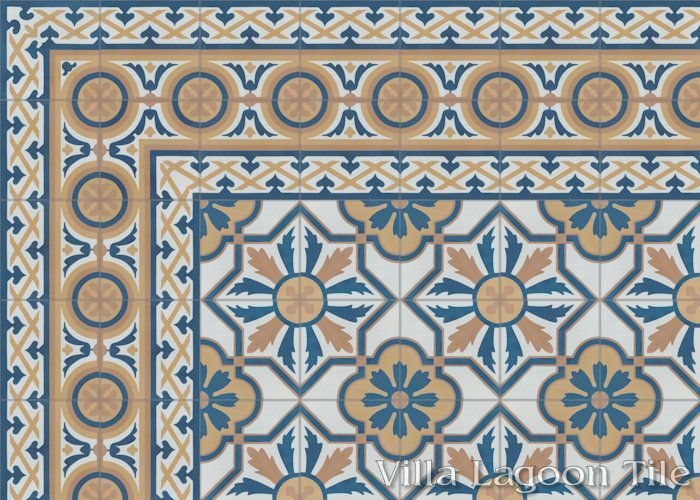 Our Conga "Regio" cement tile colorway balances the warmth of the Cuba's sun and the coolness of the Caribbean in this regal classic colorway. 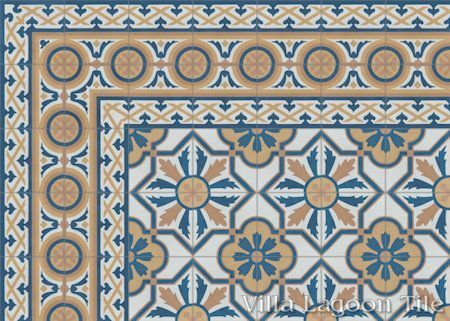 Villa Lagoon Tile's "Mas Equis" cement tile border pattern using White, Deep Inlet, Maple Sugar, and Ochre from the South Beach Palette.